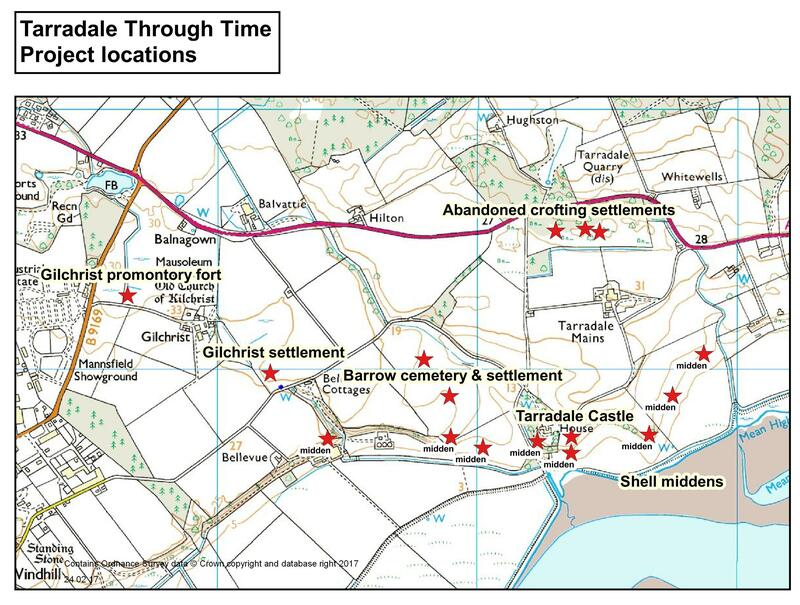 The ScARF (Scottish Archaeology Research Framework) project assessed what the current state of archaeology in Scotland was in the early 2010s, looking at what we know, where we have gaps in the knowledge and suggesting research areas for future work. This has been set up as a wiki-based publication on the Society of Antiquaries of Scotland website. 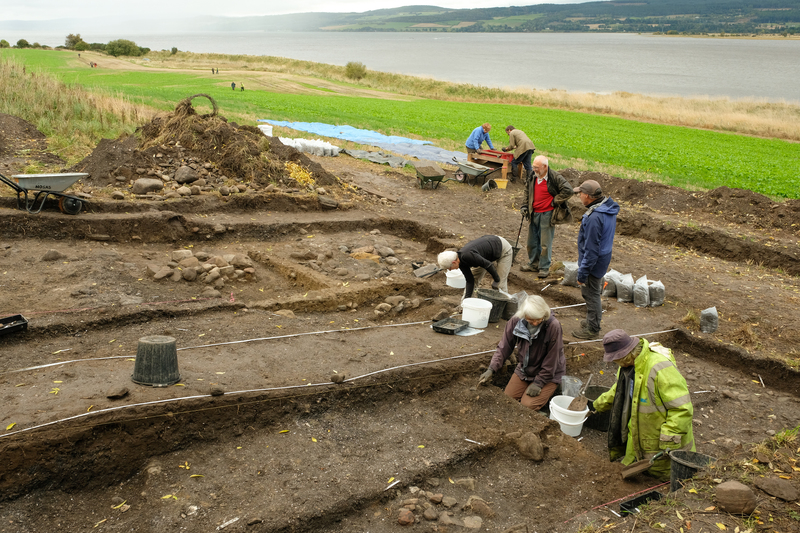 The Scottish Archaeology Strategy recommended that this be extended to focus on regions, recognising that many regional differences are not catered for in the national ScARF. 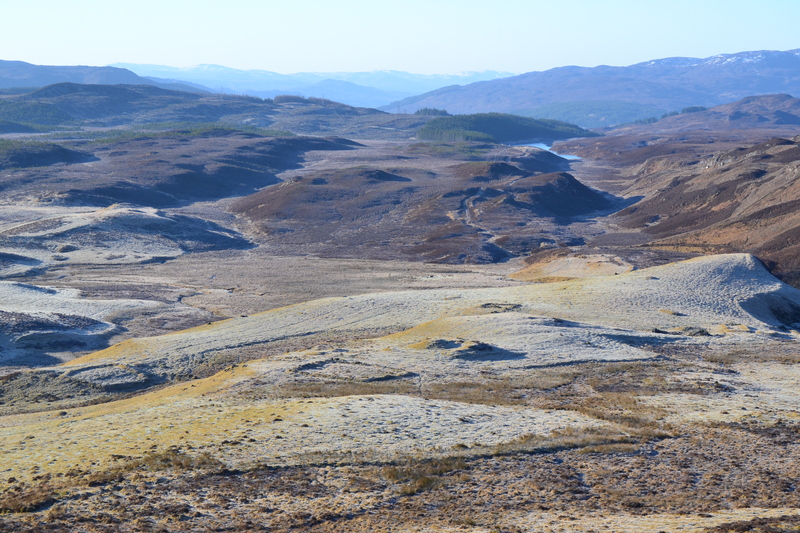 For example, the situation in the Highlands during the medieval period is very different from the south. 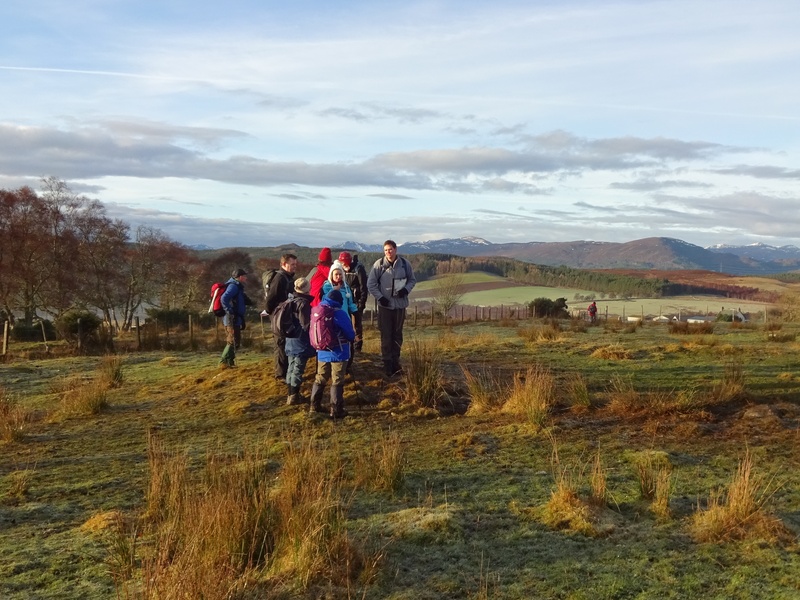 ARCH is leading a 3 year project looking at Highland archaeology from the earliest settlers through to the 20th century, with funding from Historic Environment Scotland and support from Highland Council. 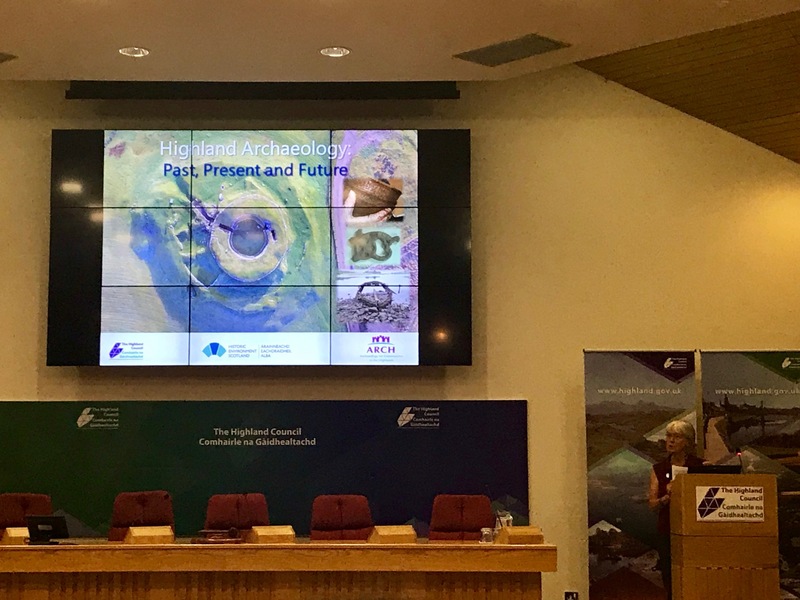 The focus is fairly simple but ambitious and exciting: assessing what the state of knowledge is at the moment, how we differ from national ScARF, what regional differences exist within the Highlands, and suggesting research areas for future work. 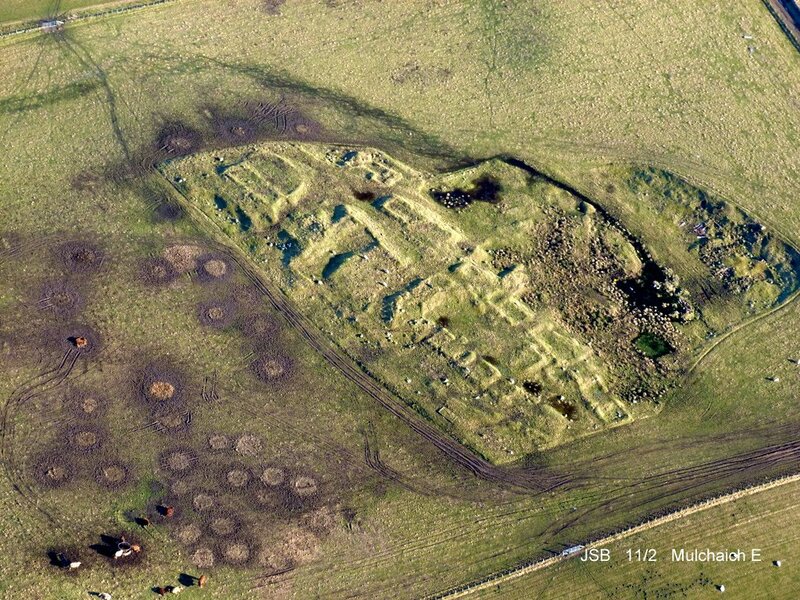 At the end we will have a valuable snapshot of Highland archaeology, which can be compared to the national picture, and also added to. The structure will mirror that of national ScARF to allow comparisons. 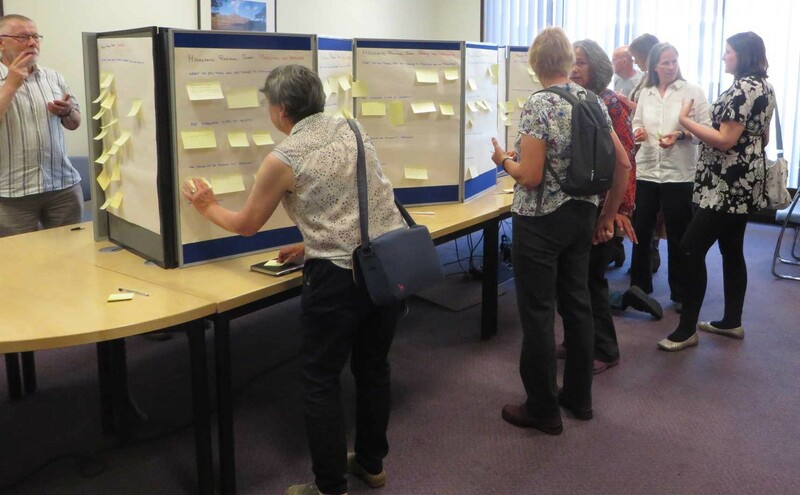 We started with a symposium on 2nd / 3rd June 2018 at Council Headquarters in Inverness where an impressive lineup of speakers provided a brief overview of what is known at present and what we need to know. The programme is available from the Library, in the Highland Regional ScARF folder. We are now starting the work to flesh out this picture and are actively inviting contributions, large and small. Our first year will be devoted to trying to get our data as full and accurate as possible. 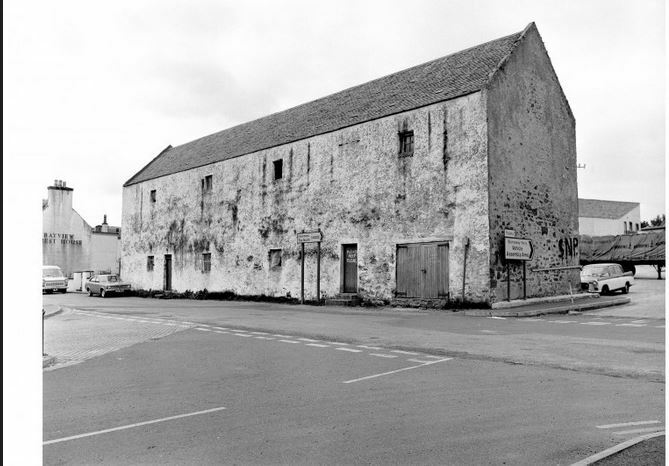 We are building on the Highland Historic Environment Record (HER), Highland Council’s database of all known heritage, which will in turn link to Scottish Canmore. Grace Woolmer has been appointed Project Officer, and is based at the Council. She has been investigating various sources and is adding and revising records in the HER. This entry was posted in General Archaeology and tagged ARCH, archaeology highlands, Bronze Age arrowheads, Community Timelines, Feats of Clay: Bronze Age Metalworking around the Moray Firth, Highland archaeology from earliest settlers through to 20th century, Highland Regional SCARF, Historic Environment Record, National Museums of Scotland, North of Scotland Archaeological Society, Scottish Archaeology Research Framework, Scottish Archaeology Strategy, Society of Antiquaries of Scotland on December 21, 2018 by nosas. The estate of Coigach is a very large country, and the subject difficult and tedious to measure, being little else but high mountains with scattered woods, steep rocky places, and a number of lochs in the valleys, which with the great distance there is between houses makes me obliged to sleep in the open fields for several nights together, which is dangerous in a climate where so much rain falls. I wish (you) would condescend to allow me a tent or otherwise I’ll have great difficulty to go through. There is no such thing as sleeping in their houses in the summer time, they are so full of vermin. The man was Peter May, an Aberdeenshire land surveyor, and his employers were the Commissioners for the Forfeited Estates. After Culloden the British (London!) government forfeited, and therefore took possession of, the estates that had “come out” in the 1745 rebellion. Six years later an annexing Act was passed, in 1752, and three years later the Commissioners for the Forfeited Estates finally met. They wanted to know what lands they now administered, and also wanted to improve the economic performance of those lands. 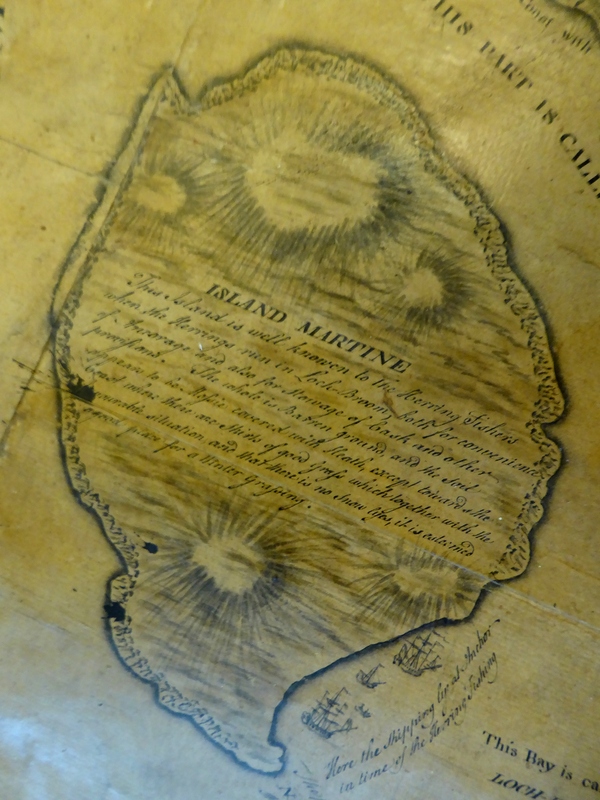 They therefore appointed land surveyors for the main 13 estates that were their responsibility, including the estates of Cromartie (the Mackenzie Estate, and hence Coigach) and Lovat. Peter May was appointed to these two estates, and produced a series of maps, surveying the entirety of the estate ground. 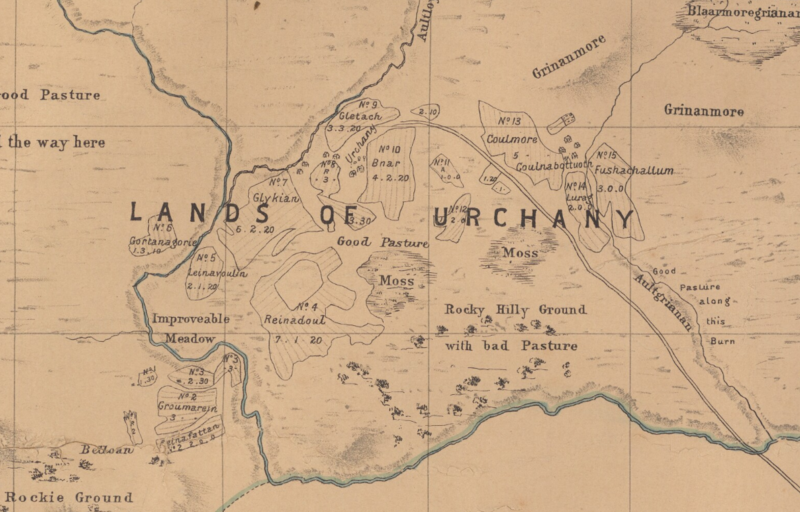 Urchany on the 1757 Peter May map. 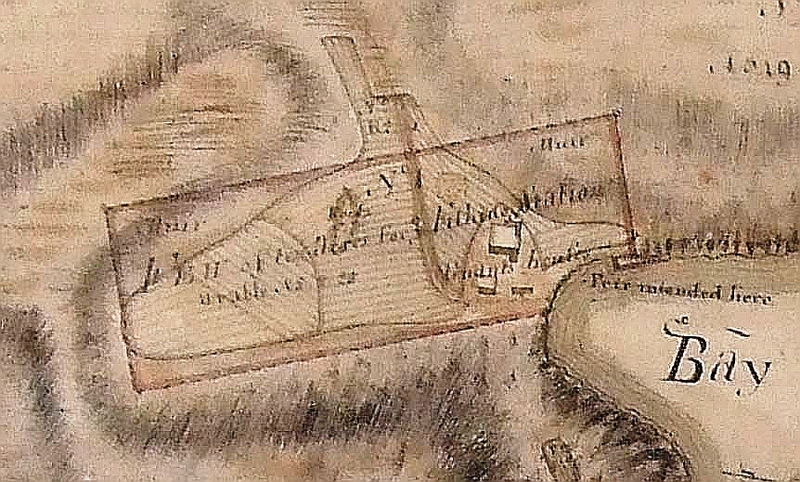 This entry was posted in Loch Ness, Aird and Inverness, Post Medieval and tagged A0 flat-bed Versascan scanner, annexing Act 1752, Coigach, Commissioners for the Forfeited Estates, Dumfries Archival Mapping Project, George Brown maps, Lord Lovat, Lovat Estate, National Library of Scotland, North of Scotland Archaeological Society, NOSAS, Peter May, Scanning historical maps, TIFF images on November 10, 2018 by nosas. Standing Building Survey of E Wall Showing Remains of Curved Window to Left. (K. Clarke). Gravestones seem to speak to us. Although they are not always an accurate historical record they provide valuable family, community, social and economic information. 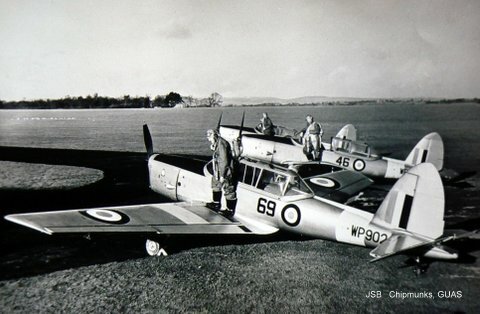 There is merit in documenting them to form permanent archives for historical and ancestral research purposes especially as they are so vulnerable to damage from weather and desecration. Burial grounds are also of interest to visitors and tourists. Recording within cemeteries can be a controversial activity. Institutions, communities and most importantly relatives and friends of the deceased may have strong views about what, if any, disturbance is appropriate especially when it involves moving memorials from their original site. Exposing turf covered stones without due care, attempting to read lichen covered or laminated stones may damage them and lead to future harm from the elements and cemetery maintenance. Others take the view that much archaeological investigation involves some disturbance and as memorial stones are supposed to be read and the grave occupants remembered if stones are carefully revealed by trained individuals using similar techniques to those employed to record rock art thousands of years old it is perhaps acceptable. There is no doubt that a great many interesting memorials lie beneath the turf. Discretion, respect and the approval of the community should be taken into consideration before embarking on any gravestone recording project. 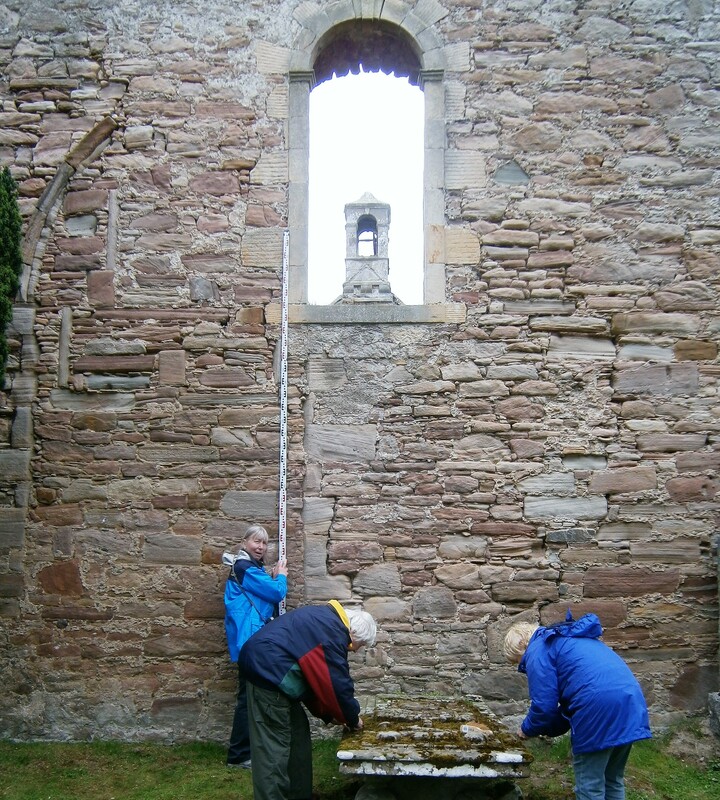 Tranquil Kiltearn kirkyard was the scene of approved activity during 2017 to record memorials in the ancient burial ground and survey the ruined chapel. 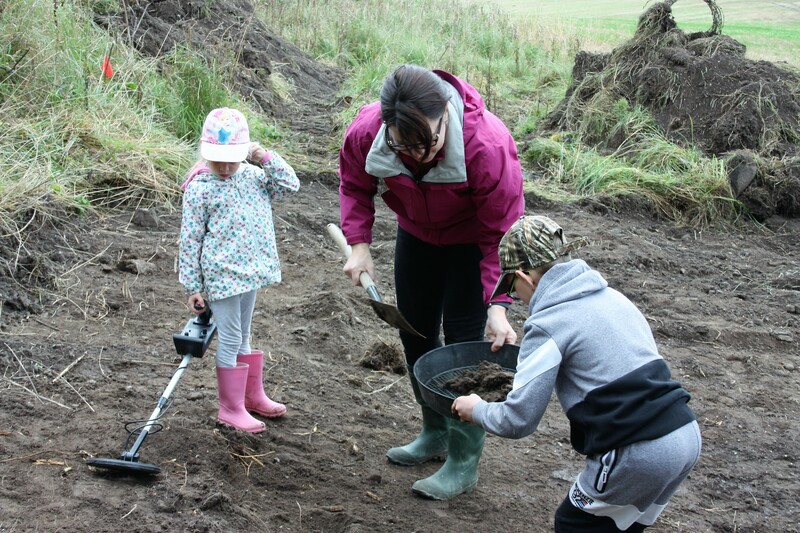 This was organised by Evanton Community Trust (www.ect.scot). They were joined by some of the Kiltearn Community, Friends of Arch (www.Arch.co.uk) and members of Nosas (www.Nosas.co.uk). 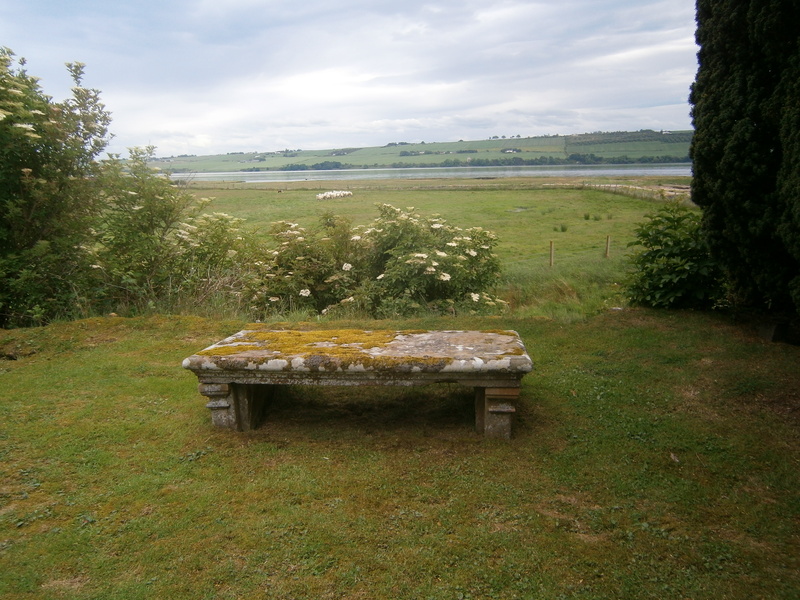 Table Tomb in Kiltearn Ancient Burial Ground Looking E to Cromarty Firth. (K. Clarke). During the 1970’s concern about the dereliction of London graveyards led to an interest in graveyard conservation. Highgate Cemetery is a well-documented example. 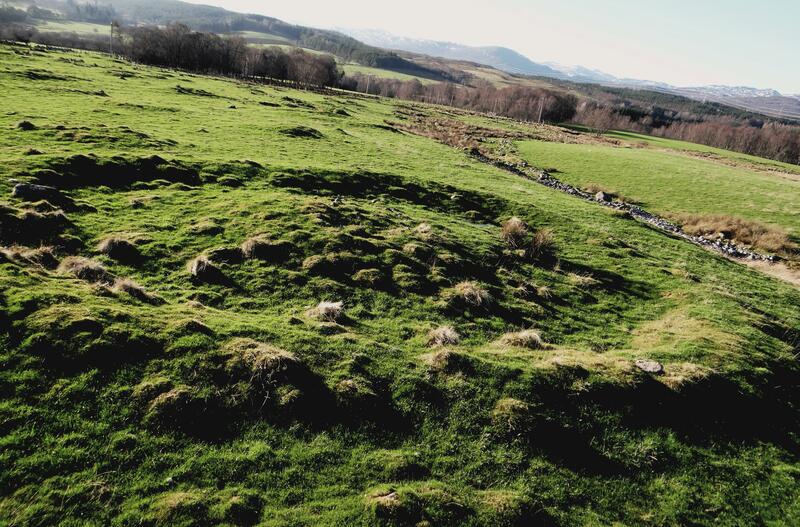 Betty Willsher, an acknowledged authority on Scottish Cemeteries, conducted research, mainly in the South of Scotland whilst drawing attention to Highland Graveyards encouraging appreciation of their cultural significance and vulnerability and calling for greater community involvement in their preservation. 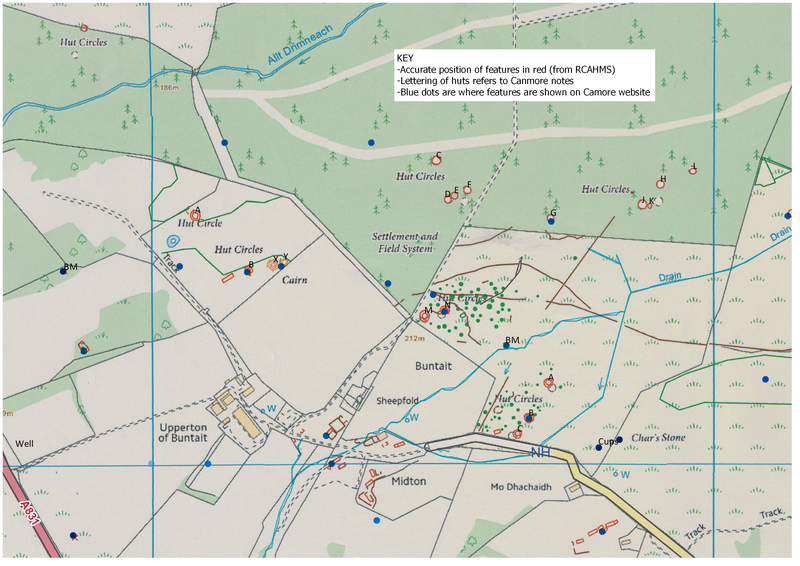 This entry was posted in Post Medieval, Surveying and Recording, Tarbat and Easter Ross and tagged ARCH, Betty Willsher, Clachan Church Burial Ground, Council for Scottish Archaeology Grave Yard Recording Form, Evanton Community Trust, gravestone recording, Heraldic Devices, Kiltearn ancient burial ground, Kiltearn Community, lairs, Lochgoilhead church, MacKenzie stag, mason's marks, Masonic Symbols, Mortality symbols, Munro red eagle, North of Scotland Archaeological Society, Standing Building Survey, table tomb, Thomas Hog on March 28, 2018 by nosas.